Item # 304821 Stash Points: 3,999 (?) This is the number of points you get in The Zumiez Stash for purchasing this item. Stash points are redeemable for exclusive rewards only available to Zumiez Stash members. To redeem your points check out the rewards catalog on thestash.zumiez.com. 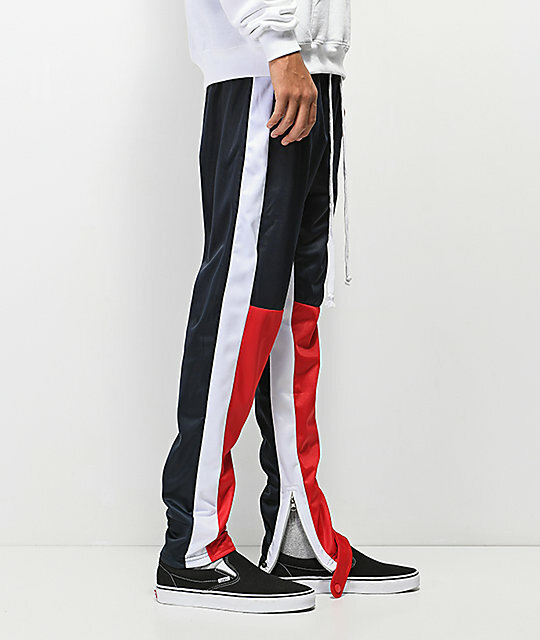 Elevate your athletic look with the Red, White & Navy Color Block Track Pants from American Stitch. 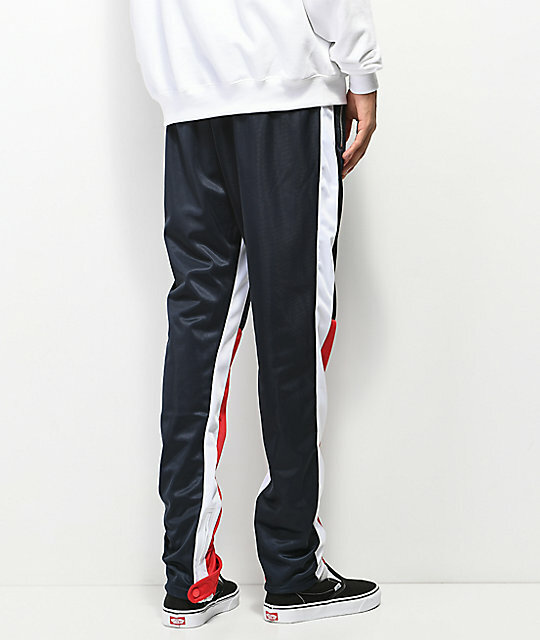 These edgy track pants feature a red, white, and dark blue color blocked construction, a thick elastic waistband with drawstring, and hand pockets with silver exposed zippers. American Stitch even added zippers and snap buttons at the ankles for a custom fit and silhouette. 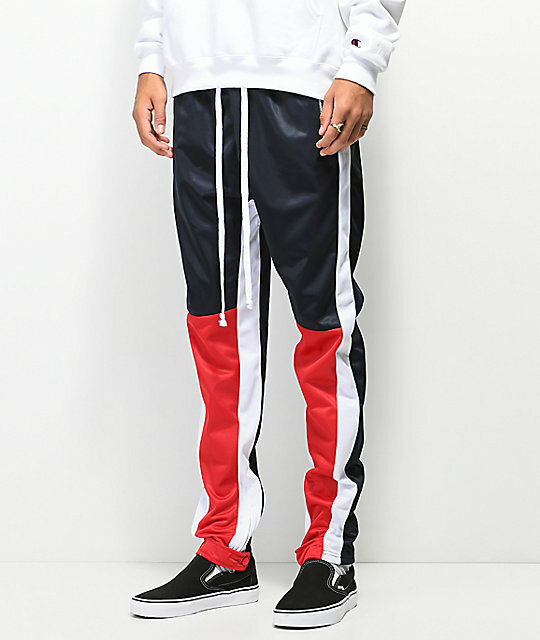 Red, White & Navy Color Block Track Pants from American Stitch. AS logo screen printed at right hip. 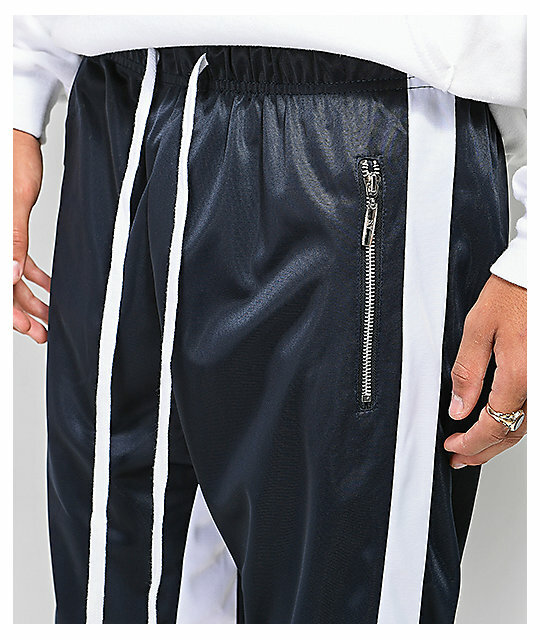 Two exposed zipper hand pockets. Ankle zippers with snap button closures on the bottoms of the legs. 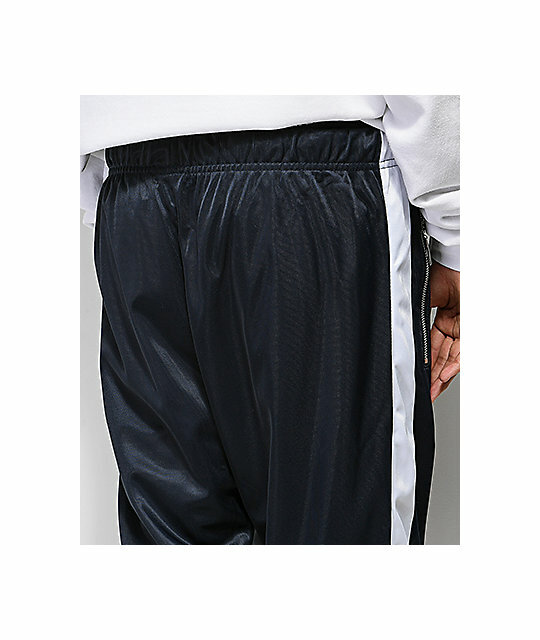 Relaxed fit straight cut legs with tapering towards the hem.